She has also used the pen name Elizabeth Eliot Carter. Cecelia Holland promotes The Secret Eleanor. Cecelia Holland was called by Orville Prescott of the New York Times a "literary phenomenon" for the five brilliant historical novels she had already written, ranging in background from eleventh- century Ireland to the Mongol invasion of Europe. 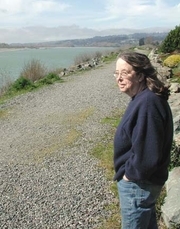 Cecelia Holland is currently considered a "single author." If one or more works are by a distinct, homonymous authors, go ahead and split the author. Cecelia Holland is composed of 4 names. You can examine and separate out names.